Platinum Kush is an indica-dominant strain that takes on a platinum-silver shade due to its thick coat of crystal resin. With purple hues and bright orange hairs, its buds grow dense with a sweet fruity and hashy aroma. Its THC content can measure up to about 18% with trace levels of CBD, and its buzz has been described as strongly cerebral and body-numbing. 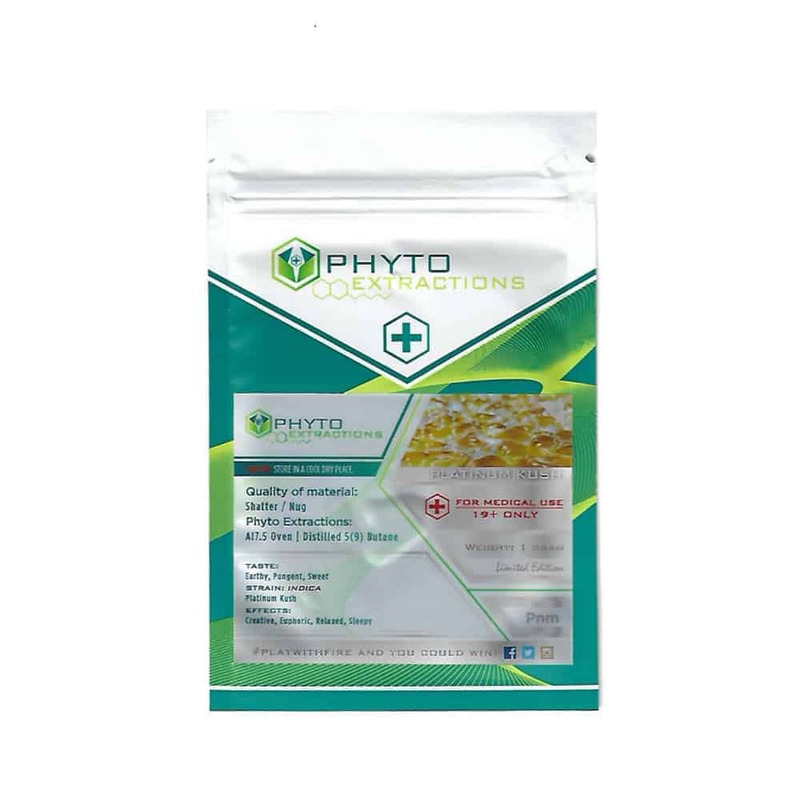 4 reviews for "Phyto – Platinum Kush – Indica Shatter"